To fully integrate all of these words into a successful online business you will need another word. Traffic. Every article you will find about making your site or company successful would always include the importance of generating traffic. So, we all know that at the core of a successful website, traffic is the most essential thing. After ensuring that you have a great product to sell, and you have your company’s internal organization well taken care of, you will have the time to get to the nitty gritty of things, generating traffic. If you already have a site and you think that you’re not getting the traffic that you’re expecting, then its time to reconsider what you are doing. 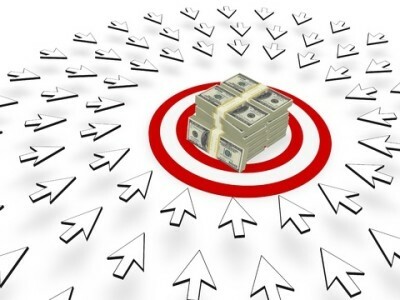 If you are contending with a very competitive niche, you should always be a step ahead of your competition, increasing your traffic flow should have been done starting yesterday. Timing is essential, that’s an old adage known to everyone. But with generating traffic, you should always be on your toes and be ahead of everyone else in your market. Never think of today and tomorrow as a starting point for making your site traffic , it should always have been yesterday. 1) Use video marketing to promote your products and services. YouTube is the second largest internet site on the planet, with millions of videos being watched every week. As part of the Google empire, marketing your products and videos on YouTube will help with your ranking on the Google search engine and when done consistently will be extremely effective at marketing your business. Video is the way of the future with online promotion, but is still very much under utelised by most businesses. If you have a blog component on your website, your goal should be to add at least one high quality article to it every week. Ensure you use keywords and phrases that are related to the article and your business subject throughout the article and provide value to your articles reader. This will help your sites Search Engine ranking and if you are providing helpful and informative content then your readers will also share your website details with their contacts. Social Media sites like Facebook and Twitter are great resources to grow your websites traffic. Create a page on Facebook and link it up to a twitter account to achieve consistant posting on both resources. Make sure that you write up a good description of your business and have links to your website in the profile sections of both Social Media sites. Build a relationship with your followers on each of these platforms and every now and then direct them to your website through a post. Viral marketing allows you to spread the word about your company and product with minimal costs or for free. This is a marketing method that can be quite sneaky; you can attach your company’s name, product or link to a certain media such as a funny video, entertaining game, an interesting article or a gossip or buzz. With this method, people are infected with the creativity and entertainment of the medium that they will pass it on to many people. Newsletters provide an opportunity to communicate directly to people who are interested in what you have to offer, and allow you to send them to specific pages on your website through links. The people who read your newsletters have already shown they are interested in learning more about you and your business by signing up to receive them, so they could also be asked to share your newsletter with others which will bring you more traffic and leads to your website. Great list of tips for increased visibility Ian. Using most of these, and they do work! Great post. Thanks for the tips, Ian. I always wondered about viral marketing. Right now I am trying to figure out keywords, especially long-tailed ones and how to maximize a particular keyword that seems to create traffic for me but is actually a word that I used for a 2 year old blog post – positivity! Another great post, Ian, with lots of tips to increase traffic and build your tribe. I think your description of viral marketing might be the first time I’ve read it explained so clearly, as I got a real sense of how everyone could do this, if it aligned with them. All of the other tips are solid and worth trying and experimenting with to see which ones work best for your particular niche, product or service. Thanks for always offering great insights and for your clear way of presenting it! All your pointers are right on and I really try doing them, except #1- video. But here is the thing. I go along doing social media & get some traffic, some conversions, some growth & I have a nagging feeling I’m missing something. Today I reviewed my twitter account with my coach & I see I was right. When SM is not your business area, you really only learn the basics- and there is so much more I’m finding out. Awesome tips Ian!! Thank you so much for these definate surfire ways to increase our traffic 🙂 Every network marketer should be doing them all! Great tips Ian! I am pretty good all the tips you mentioned with the exception of #7! However, it is my goal to do this consistently. 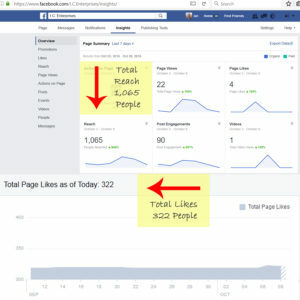 Thank you for another excellent post and for the 7 ways to increase traffic. One thing that I have on the top of my list to improve on is the use of video in our marketing strategy. I was honored to have won a ticket to Social Boom in Chicago two weeks ago. One whole segment was on the use of video. It was such an inspiration and I’m looking forward to implementing what I have learned. Thank you for sharing these 7 sure fire ways! Great tips, Ian. It seems I have a long list of things to do for my site and my client’s site; from everyone’s articles this week. I have gotten a client to use Newsletters finally; and we have started her Twitter account; so I think she’ll start reaching people. Her business is seasonal and I don’t want her to just stop everything across the board; she just started her newsletter and wants to go “dark” while she is not doing her food tours; so after November (she just started her Newsletter in September) she won’t do one, until maybe May; the month before her tours open again. I think it’s a mistake; we’ll see what happens. I will be showing her your article so she knows what she has to do to keep top of mind. Thank you for sharing these great tips for traffic!